In Traverse City, a popular way to purchase a high-quality car is through the Lincoln Certified Pre-Owned program. Two of the top benefits of purchasing through the Lincoln Certified Pre-Owned program are each vehicle goes through a 200-point inspection and all vehicles are protected under a comprehensive limited warranty. Our staff at Fox Grand Traverse Lincoln can answer any questions you may have pertaining to the program. 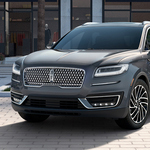 Lincoln is pulling out all of the stops with its latest luxury crossover. 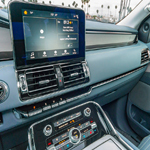 The Lincoln Nautilus demonstrates the highest level of automotive technology innovation with its suite of impressive features. The Nautilus enthusiasts at Fox Grand Traverse Lincoln are eager to introduce you to this exceptional new entry in the crossover market. The adaptive cruise control uses intuitive sensors to automatically adjust the speed depending on the pace of the traffic in front of you. You get to enjoy the convenience of cruise control without having to worry about braking and accelerating. The Lane-Keeping System will help you stay alert and notify you if you drift too far out of your lane. 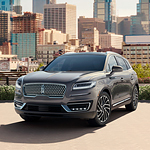 The popular Lincoln Certified Pre-owned program allows buyers to have a unique experience and the program offers several exceptional benefits. Every Lincoln Certified Pre-owned vehicle receives a six-year limited warranty that includes the replacement of parts, or repairs, for more than 1,000 components. The comprehensive warranty uses the original start date of the New Vehicle Limited Warranty or 100,000 miles, whichever comes first. This ensures peace of mind for knowing your vehicle is covered for any potential deficiencies that would typically be an out of pocket expense. 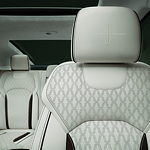 Lincoln remains synonymous with luxury and elegance, and the Lincoln Nautilus does not disappoint. Appearance, space and additional features keep the SUV popular with upscale crowds. However, you cannot fully appreciate the ambiance until you see the new models in our Traverse City showroom. You might get the impression that your Lincoln Nautilus is happy to see you given some of the unique features. 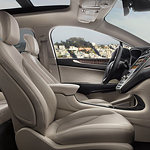 As you approach, the interior ambient lighting and exterior lighting illuminate in response. A lighted welcome mat featuring the Lincoln logo appears on the ground by each entry door. 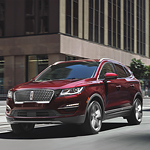 The Lincoln MKX is a versatile crossover SUV that's ready to thrill families in Traverse City. Having a lineup of four models, this well-appointed American car is available for test drives at Fox Grand Traverse Lincoln. 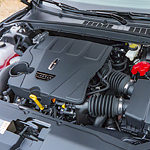 Having a twin-turbocharged design, the vehicle's 2.7 L engine block spits out up to 335 horsepower and 380 pound-feet of torque. This powerful V6 engine offers a maximum fuel economy of 25 MPG on the highway based on EPA tests. You can pair the six-cylinder powertrain with the optional Intelligent All-Wheel Drive that's tuned for all-surface and all-weather handling.